Ok, friends…no more excuses. This is the year we take back control of our days. No more running around like a crazy person. No more succumbing to the chaos and finding yourself starting and ending your day in a state of disarray. I’ve always believed the key to making changes – or in this case with the beginning of a New Year – resolutions – is to make them easy. If you try to make ten gargantuan changes all at the same time, you are bound to fail. In starting here, we are going to make small changes that will have a BIG impact. You with me? I thought so. Early is better – I know, I know…being a night owl has always been my thing, but I’m realizing I’m far more productive – and peaceful – when I’m awake to see the sun rise. There is something magical in the quiet of the early morning. It allows me to wrap my brain around the day and do it alone. Gratitude and Intent – I am a kinder, gentler, more peaceful person when I give myself the gift of gratitude and set intentions for my day. Putting my first focus on the good in my world clears my mind to prioritize appointments, work, errands and my family. Energize Yourself – there is a reason you have long heard the phrase, “breakfast is the most important meal of the day”…because, quite simply, it is. Feeding your body after you have fed your soul allows you to tackle the day with a sharp mind, improved overall nutrition and the energy you need. If you are anything like me – once your morning gets going, you don’t have a ton of time. Between getting myself ready and the small people fed, lunch-boxed, bag-packed and out the door….there isn’t a ton of time. Good news – I have just the suggestion you need. 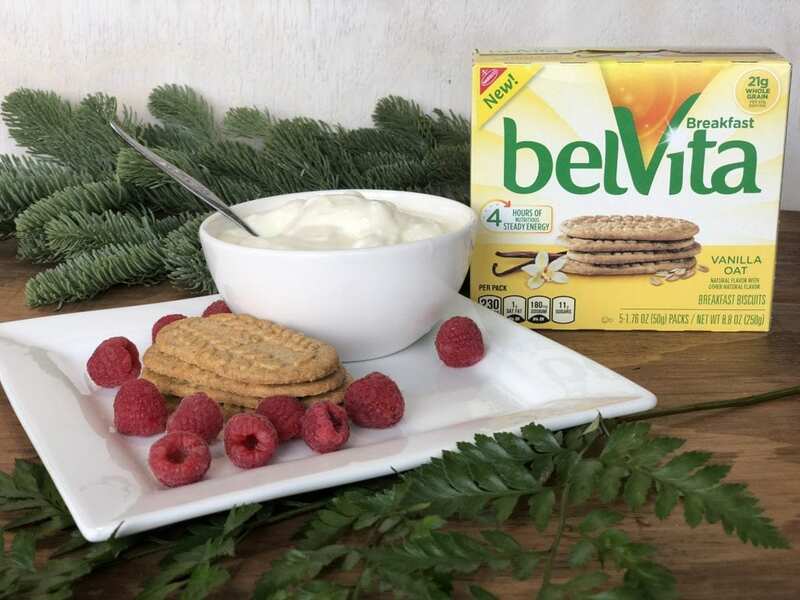 belVita Breakfast Biscuits and belVita Breakfast Bites are baked in just such a special way that they are formulated to steadily release nutritious, steady energy in to your system for FOUR hours. They are portioned into individual bags allowing you the freedom to enjoy them at home or as you are running out the door. 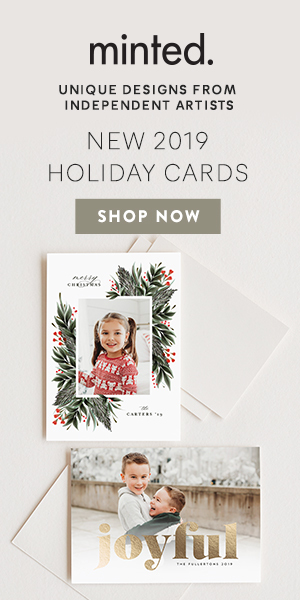 I wanted to share two of my favorites – and YEAH! They are new. 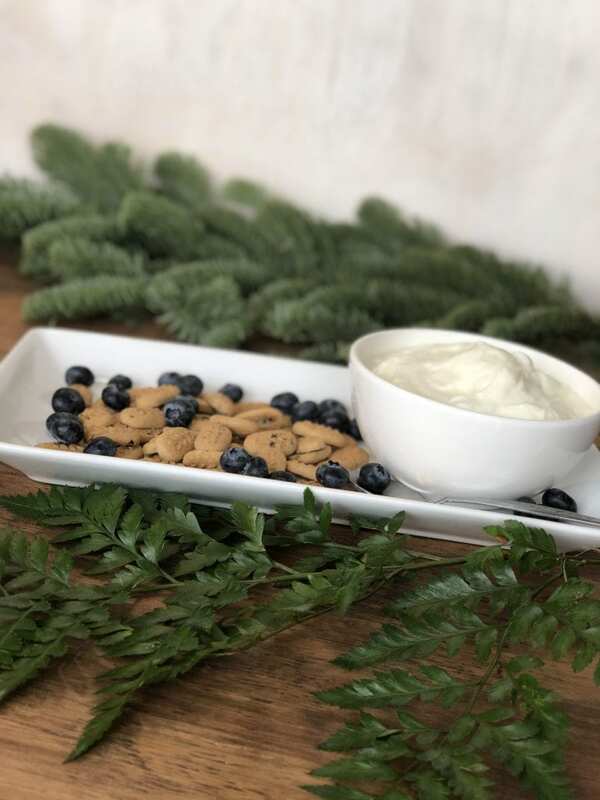 With just the perfect amount of sweet and crunch, these small but mighty belVita Bites Blueberry Breakfast Biscuits are both delicious and packed with 21 grams of whole grains in each serving. I love them. 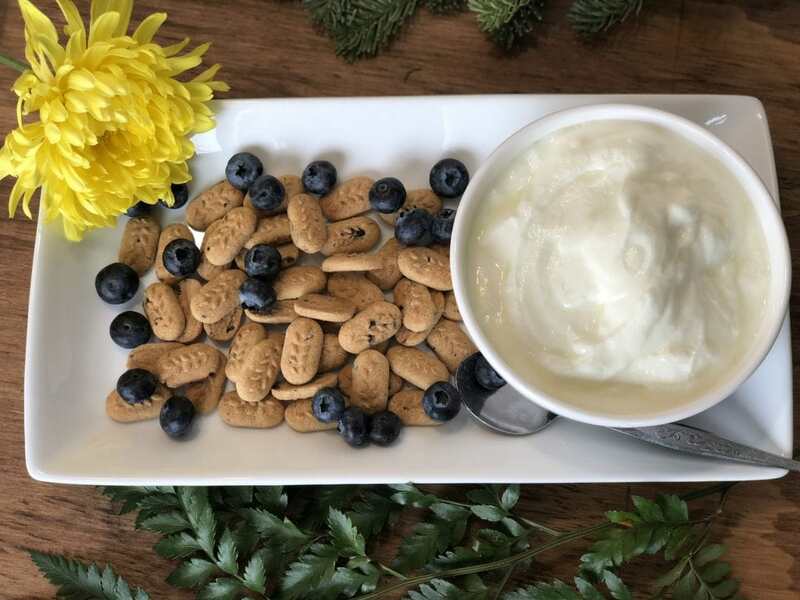 And I love to pair them with fruit and yogurt….I choose to double down on the blueberries. 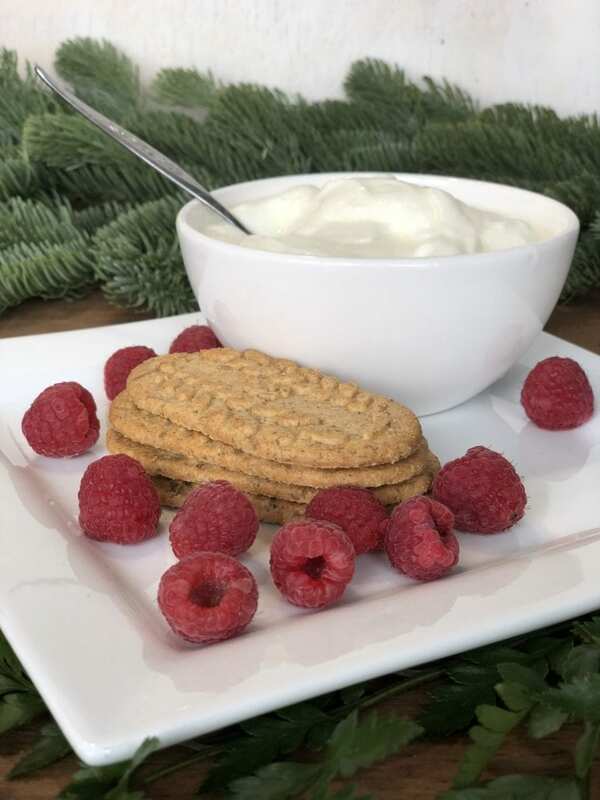 If you are partial to Golden Oat belVita Breakfast Biscuits – the newest flavor Vanilla Oat also has 21 grams of whole grain that will continue to keep you fueled for four hours. These are also delicious paired with your favorite fruit and yogurt. Don’t forget the other varieties – from Toasted Coconut to Cinnamon Brown Sugar, from Blueberry to Cranberry Orange and Chocolate. There is an option for every palate. $1.00, 6 oz. or larger). See your local store for details. 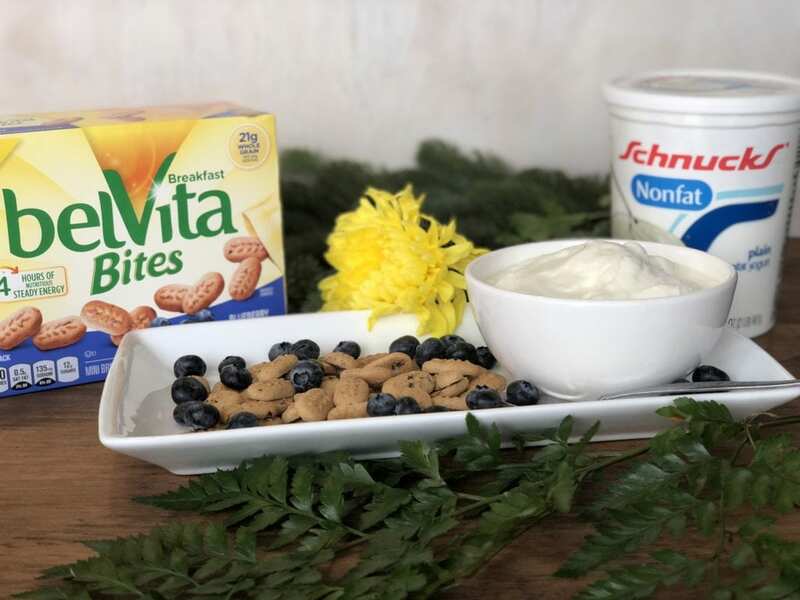 Disclosure: I am happy to have partnered with belVita Breakfast Biscuits and Schnucks to share a bit about shaping up your morning routine. As always, all thoughts and opinions are mine and mine alone. I love this. Little changes to your routine like this can help set your day up right going forward. And THAT helps you set up your week, which helps you set up your month and your year! 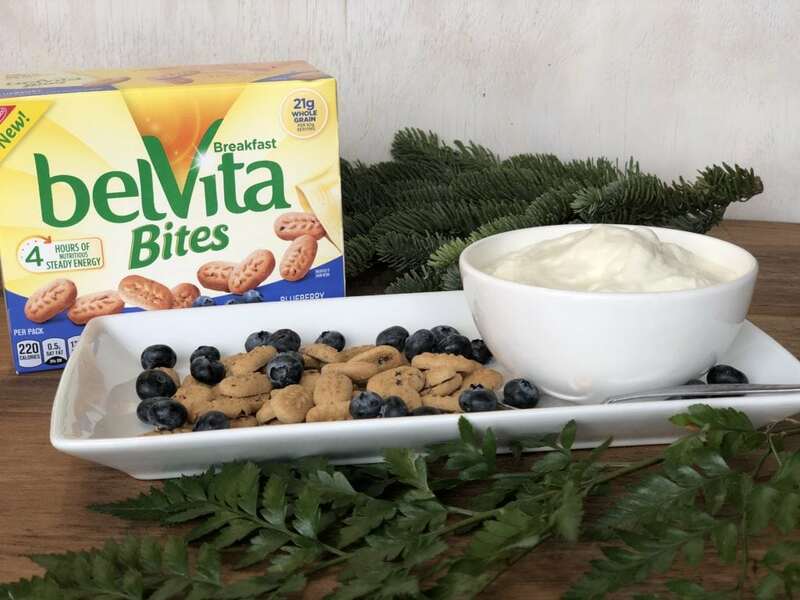 BelVita bites look like a great option for the morning. So glad that you are sharing them, I saw them in the store and wasn’t sure. I think these will be a great addition to my morning routine this New Year! Awesome tips. I do not make new years resolutions, but I make realistic goals instead. I always follow the “SMART” rule of goal setting. If I feel a goal is too big, I chop it up in chunks – like accomplishing a portion of it per quarter. I also believe in keeping myself healthy and energized. That is indeed a big factor in achieving goals. I am happy for you that you are able to set up a morning routine. It is a struggle for me to get out of bed every day. I guess I am just not a morning person. This year, I do have to change a few things and be the bright eyed, bushy tailed person every morning. I hadn’t seen the bites yet. I’ll have to give these a try! I used to be more of a night person until I started blogging and planning my day. I realized I’m more productive during the morning, so I completely agree with you on this one. The earlier you start your day the better! I really like the Belvita biscuits. I need to pick some up next time I am at the store. I’m so glad to hear they have bites. Those look so tasty good to me. I’m a big Belvita fan!